Monday Motivational Moment - Each Monday a brief motivational message is posted focusing on a single sales or business building skill, along with a single action point, for individuals to use during the week to help develop this skill into a regular habit. 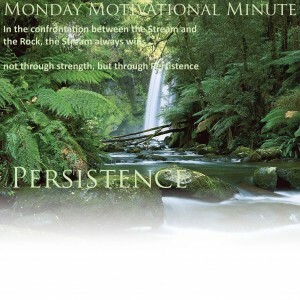 Take just a few minutes to change your week.Monday Motivational Moment | Each Monday a brief motivational message is posted focusing on a single sales or business building skill, along with a single action point, for individuals to use during the week to help develop this skill into a regular habit. Take just a few minutes to change your week. Can Work and Life be One Big Party? All of a sudden the atmosphere changed. The promoter walked in with a big smile and a manner infecting the room with energy. So, what made this dry person so different at this function? Nearly every relationship study shows the number one most important reason people like to be with people is they are FUN to be with and they establish an emotional connection. 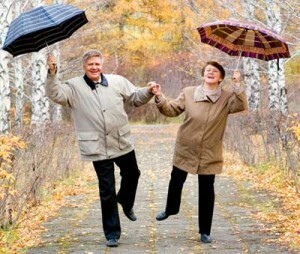 People enjoy being with people that make them feel good and having fun, having a good laugh together. This is true for everything in life and especially in business. You may have a deep passion for a particular topic. While having a passion is good, if you turn this passion into the only thing you talk about you will gain a reputation for being intense; perhaps a bit of a bore or, worse, a zealot. Business owners and salespeople often get so caught up in what they sell, solving problems, meeting needs and identifying benefits that they forget to be the kind of person someone wants to be with and do business with. Even if your client introduces a topic you are passionate about resist the adrenaline rush, listen to them and keep focused on enjoying being with them. What about frivolity and foolishness? Fun is about creating good feelings, not behaving in a way you’ll later regret. If your business is selling circus acts and entertainment your approach will be different to selling safety equipment. Leave university pranks and tasteless jokes at home. Even better, put them in the garbage bin. I am continually surprised at how this statement, said in a positive way, injects energy into the person I am speaking with. All of a sudden I am having a positive and energetic conversation with someone I have never met before. As a consequence they assume I normally deal with someone at the office. I had a caller last week who was obviously using a script. I like to have fun with these sort of callers. When they came to the part where they asked me, “How are you today?” I made up a story. Not all situations call for light heartedness and not all people are receptive to jokes and anecdotes. If you are in business or a salesperson you always need to use discretion. Fun should be used as an appropriate response. If you’re faced with a client who’s in trouble and you start trying to make light of the situation your attempts at having fun are likely to backfire. What made the presenter different at the investor function? They arrived with a spoonful of sugar, a positive feeling and a few great ‘one line’ statements ready to be said with enthusiasm. They walked in purposely and with confidence lighting up the atmosphere wherever they were. So, can work and life be one big party? Perhaps not all the time but if you turn your work in to fun it makes life so much more interesting. If you want to understand more about the chemistry of fun and laughter click this link. How do laughing, kissing and closing a sale differ? 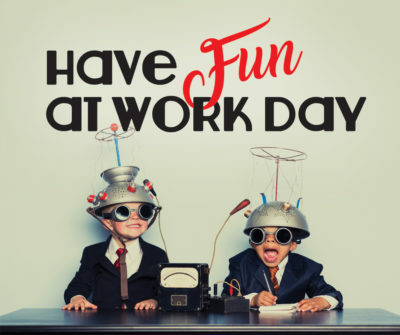 What is it about your business or work environment that is fun? Which words and phrases can you use to inject energy in to your relationship with other people? When you walk in to a room what is one thing you can do to electrify the atmosphere? Having fun and enjoying your work is the first step in building strong lasting business relationships. Can you measure the results of a positive attitude? We had discussed the show before the event and she was really looking forward to the event. I knew how much they had invested and the amount of stock they had to move to get set up. We spent about 30 minutes working on a few specific things she and her team could do. I reminded her of the importance of maintaining her own positive attitude as the leader of the team and quoted the saying ‘Change your attitude and change your results‘. I thought to myself, this will be a real test to see if you can you measure the results of a positive attitude? She was sceptical, however made a commitment to try just two ideas we discussed the next day. When she called the next evening she was a changed person. What about all their neighbors stands? Nothing had changed for them. They had similar products, however, not even going to recover the cost of attending. Who do you prefer to deal with? A relative of ours is extending their home. The plumber engaged by the builder to put the new roof on the extension taught me and my relatives some juicy new words that I would find difficult to use even at the football! His entire day was invested in telling stories of how he could not get on with his family, why the world was terrible, and why his wife of less than one year left him. His final complaint was that he found it difficult to get more than one job from a builder. I tried some careful coaching and he responded “Mate, I do a fantastic job and have great relationships”. I left him in his misery. Ask this question of yourself. If you had your choice, which would you rather buy from. A person who is excited about their organisation and what they could do to help you achieve your goals? e.g. “This is exactly the product to meet your needs – I will make sure it is there when you need it”. This may sound trivial. There is a world of difference in your clients mind. You race into the car park a few minutes late cursing the idiot who cut you off as you tried to run a yellow light. You have been listening to talk-back radio with callers complaining about the most trivial of matters. You are agitated and race into your prospects’ office. You respond automatically with your subconscious crafting words reflecting your mental state. Your prospect, subconsciously reflecting your attitude, goes into the same ‘negative’ mental state and you end up wondering why you even bothered calling. This time you stop for a few minutes to reflect on your prospects’ business and your own objectives for this call. You had a motivational speaker on in the background as you drove there. This time, when your prospect says “How are you?” you respond saying, “Bob, I am really happy to be able to meet with you today. I have some exciting news about potential solutions to overcome the business issues we discussed at our last meeting.” Your client, subconsciously, goes into an expectant frame of mind and you have a fantastic meeting. So, can you measure the result of a positive attitude? You sure can – and there have been many studies done to support this. Recent research has shown that 94% of income earned by salespeople is made by just 7% of salespeople! And why do people do business with this 7%? Research again tells us it is because they are great people to be around. Not noisy gongs or complainers. Your attitude is where the biggest difference can be made. I have witnessed people transform their sales career with simple changes to the way they talk to themselves first, and then to others around them. In the case of the industry trade show changing the teams attitude doubled their sales in one day and changed the outcome of the show. Most of the companies attending were happy to focus on the negatives – and they lived out this self fulfilling prophecy. Do you want to be in the 7%? Examine your words carefully. If there is even a HINT of being negative your subconscious will pick this up and act on it. Ask your colleagues to listen into your telephone conversations and start recording your sales calls. If you hear things like “I can’t …” or “The company will never …” creeping into your conversation, create alternatives to use. Put a ‘swear elephant’ on your desk (or any shape of money box) and put $2 in every time you catch yourself using certain words. Before every appointment, even if you are a bit late, stop and make sure you have a plan to start the conversation off in a positive way. Once a conversation starts, especially a first conversation, it is tough to pull the energy level up once the negative things start. This line stood out to me as laughing is the one thing that breaks down barriers It made me think … how do laughing, kissing and closing a sale differ? 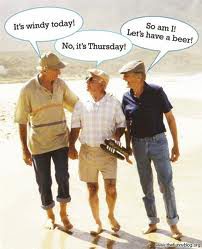 What is it about laughing that opens a persons mind to make a decision? And how relevant is this in other life activities? When you laugh, you generate a wealth of healing biochemical compounds. Deepak Chopra says “…your body can produce any drug you can buy from your chemist or drug store…” and one short burst of laughter can produce the life saving chemicals which drug companies sell for thousands of dollars. When you laugh your cortisol and catecholamine levels reduce and the left and right side of your brain come back into electrical balance. Laughter helps circulate lymph fluid and helps your organs by removing waste products, increasing your body’s ability to fight infection. Laughter also increases oxygen supply allowing your body to generate more energy. Higher levels of oxygen produce a natural ‘high’. Laughter, especially outrageous laughter, can give your body a real workout. What about kissing and closing a sale? There are a few high stress activities in life. Two of the items right up there are making a decision to buy something (especially something expensive) and closing in on that first kiss with someone you really like. As it turns out laughter affects the brain and body in much the same way to reduce stress for both these activities. One side of the brain is saying “You can do better than this”; or “Lets look at more options before we make a decision”. The other side of the brain is saying “I like the way the colour will look in the living room”, or “I wish he would just get with it and kiss me”. As the brain considers the ‘will I or won’t I’ statements each side of the brain produces a small electrical charge, one side (+) positive and the other (-) negative. This ‘battle’ in the brain of the positive and negative creates an imbalance of electrical charge and we experience this as stress. A good laugh discharges this imbalance. By helping a person laugh this barrier is reduced with the two sides of the brain coming back into balance. Viola was right. If Duke could get the girl to laugh her barriers will come down as her brain comes into balance. Even if these barriers were raised by months of bad behaviour, a single session of laughter can bring all the barriers down. This is exactly the same thing that happens in a sale. If a salesperson or business owner can reduce the stress being experienced by the buyer using laughter all the barriers come down. It is then just a matter of handling the real objections to getting a decision finalised. So. how do laughing, kissing and closing a sale differ? Laughter is a serious matter for all three. Here are some things you can do to help. Be prepared with a series of really funny stories. Like I say to my mother “Never let the facts get in the way of a good yarn”. Practice them and use them appropriately – you will find people start to respond to you better as you develop your library of humorous stories. Do you present your product overly passionately? You may be surprised to find your intensity creating tension or stress. Make it into a point of laughter, with the joke being on yourself, and the watch the process move ahead. The more you allow fun into your life you will be surprised at how more people will listen and allow themselves to be influenced by you. P.S. More inspiration on our BLOG here. What can you do when you ‘hit the wall’ and nothing seems to be Working? Some Monday’s I wake up and no matter what I seem to do I just can’t get going. Other times I get to Thursday and my energy is just gone. I find being in Business or selling can be much like running a marathon. You are doing lots of things all the time and sometimes, like a long distance runner, your body and mind can become overwhelmed and you ‘hit the wall’. There are three types of energy powering your life. When one, or more, of these energy sources is running low you face ‘the wall’. Fortunately these energy sources are linked and there are simple strategies to get you moving again. This is the physical energy your body stores up to run your body each day. Even when you are doing nothing your body consumes vast amounts of chemical energy pumping your blood, digesting your food and maintaining the cells which make up your body. This is the energy of enthusiasm that brings joy to life. The smile of a child, the feeling of love, the happiness you feel when your football team wins. Everything you say and do is impacted by your emotional energy, either positive of negative. This is the energy of creativity. When you set a goal without knowing how to achieve it you use mental energy. You use energy solve problems, make decisions, write reports. In fact, your mental energy resources are a major determinant in the quality of life you have. If you have a goal and have no defined way of achieving it you will continue to drain your mental energy reserves until you have a plan. Each of these energy sources is closely linked to the other two. One five minute uncontrolled outburst of anger (negative emotional energy) can burn up the same amount as an eight hour day of physical energy. Receiving a phone call (because you sent them a flower perhaps?) from someone you love (emotional energy) just before a physical challenge or tough mental assignment can recharge both of these energy sources. I have set my goals in a way I can’t achieve wins along the way. 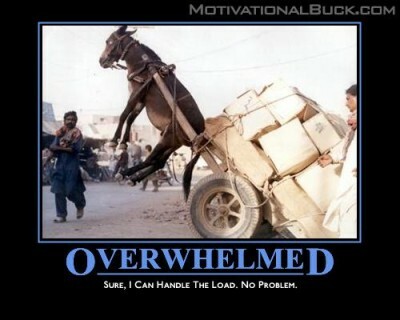 Are there times when you ‘hit the wall’ and you feel the elephant on your shoulders? Here are some things you can do to help. Get out of the 9 to 5 mentality and decide ‘now is the time’. Stopping a workshop at 10AM for a 30 minute walk is much smarter than wasting a day of planning. Know you body chemistry. Start the day with a good nutritious meal. Replenish your body chemistry regularly with a balanced diet so you can keep your physical energy at high levels. Build your emotional energy by spending time with people who appreciate you. Stop and ‘smell the roses’ and allow time to enjoy your life. Check out ‘How do laughing, kissing and closing a sale differ?‘ for other ideas to generate energy in your life. The more energy you have, the happier and more productive you will be. Can Taking the Road Less Travelled Make a Difference? and use this idea ourselves. 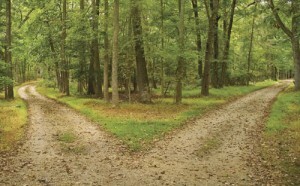 Can taking the road less traveled, however, help establish a business or make better sales? I was picking my parents up at the airport last week. On the way out we joined a very long line to pay for our parking. I was interested in this as there were two machines where you could pay for parking, but for some reason there was no one lined up at the other machine. I saw the line stretching out the door behind me and I relented not wanting to loose my position in line. I waited a few more minutes as a few people looked with longing at the other ticket machine with not a sole in line – but no one dared make a move. I could see the video display on the machine seemed to be working normally, but my mind kept saying to me ‘there must be something wrong if there is over a hundred people lined up here and no one there’. This was ridiculous. I plucked up my courage and all my parents’ luggage and walked over to the machine and paid for our parking. You guessed it; within a few seconds there was a mad rush to get to the front of the line for this machine now it was obviously working. The world is full of naysayers and people who line up with the crowd. When you are building a business or selling it is your courage to be a bit different, to set yourself apart that creates the value for you and your clients. My first visit to this account confirmed what my colleagues had said. They had signed a global deal to implement a new enterprise wide system at head office and their Australian subsidiary was to be an early adopter. After meeting a few of the local players and understanding the business better I discovered the Australian operation was the only part of the global organization running well and they were concerned this very expensive project was going to drive them to the wall. Here I had an Australian manager, being paid based on profitability of the local subsidiary, being told to accept an expense that would take money from his bonus – perhaps even all of it. Together we put a plan that would allow him to meet the global objectives of the company as well as keep his local costs reasonable. Instead of spending tens on millions with an overseas company he invested hundreds of thousands with a local company. At the end of the year this company no one wanted as an account, who I was laughed at for asking to take it on, was again in the top five client list in terms of revenue and number one in terms of profit. Can taking the road less traveled make a difference? It sure can. And it can be very profitable as well as there are fewer competitors and clearer measures of success. Make it a habit of always look for one more alternative. Pose a contrarian view to help see other potential ways of doing things. Being different does not always mean you will be better off. Taking the road less traveled, however, can make all the difference. Christmas and New Year have just gone and a new week is just around the corner. I survived all the parties and family gatherings & my list of things I have to achieve this year is sitting in front of me laughing. This particular Saturday I was so stressed with a feeling of overwhelm I could hardly move. What to do? In business and sales overwhelm like this is probably the most common cause of stress and, without attention, can lead to business failure and poor sales performance. I am a bit of a workaholic so getting going about 6AM and working well past midnight every night is normal. No matter how many hours in, however, I was just getting further behind. There are just so many hours you can put in. It was affecting my personal life and health. Even small things seemed too much to handle. My colleagues would say things like ‘Having so much business is a great problem to have’. It would have been so easy to just check out for a week or two. I had to take action. I took a BIG piece of paper and started to make lists. Work lists, personal lists, family lists and goals. As I wrote I started to remember things I had forgotten and promises I had made to clients long forgotten. It was an enormous list … and when I looked at it there was one obvious conclusion. I needed help. I took a leaf from Brain Tracy, in his classic time management series, where he advised “If the activity you have on your list can be outsourced for less than what you are earning an hour then outsource it”. As I sorted the tasks and made decisions on how to deal with them my feeling of overwhelm started to dissipate and I could see my way out the other side. The best part was results started going through the roof by doing less. Go to a quiet place where you will not be disturbed and list everything you feel you need to do, no matter how trivial. Has anything change? And if so how is this different from last week or last month? What will happen if this does not get done today? This week? This Month? What is the most valuable thing you can you do in the time you have available? What are you going to delete or delay? You may have to let go of a few things, however, as you let go and engage others you will be surprised at how much more will get done and how much better business will be and how much more you will enjoy life. Last week I had a few cancerous skin spots removed – one of them on my face. The doctor, when explaining the procedure, told me how much skin they needed to cut outside the cancer, how long the cut would be and the direction they would cut the skin to minimise the scar on my face. While a scar on my face does not really concern me, it got me to thinking about scars and the stories behind each one. As a child scars are our marks of experience. Children brag about their scars and share stories. My scars include a finger sewn back on when it was severed in a door, an appendix removed in a third world country, a wrist cut when I slipped with a knife harvesting grapes and numerous cancer spots. As adults we go to a lot of effort to hide scars and imperfections. The internet is full of discussions like ‘How do I put a value on a scar for a lawsuit” (google this phrase for examples) with the focus being on ‘who is to blame’ and the ‘emotional or career damage’ a scar causes. Everyone’s life is full of scars. When I am coaching people I look for the scars. The road bumps of life. They can be emotional, physical and sometime spiritual. Most people are reluctant to share and want to put up a veneer of perfection. It is not until we start having discussions about the scars and sharing what our lives are about when coaching starts. In business and sales we want to hide the bad reference, we avoid talking about failures, in fear people may not want to do business with us. We try and paint the perfect picture of who we are and what our business is and can do. A bit like airbrushing our photograph or having plastic surgery. Scars are your war stories, the experiences of life that make you interesting, that make your business interesting. I like to hear the stories of individuals and businesses and where they have struggled and won through. The contracts won and lost, the projects where their business was put at risk and won through. My father, a history teacher, says “never let the facts get in the way of a good story”. The real meaning behind this is letting the stories of your life take meaning. A story with just the facts is boring. A story about a life experience, the lessons learned and how you responded is so much more interesting. Embellish the story with humour and colour. It is not that you are covering things up – you are sharing your life’s story and learning in an interesting and meaningful way. It is exactly the same in business. My father in law was a fabric dyer. He tells the story of a client who insisted on using a particular chemical process with a natural fibre. He knew it would not work the way his client wanted, however, the client was insistent. He then shared a story with his client about how the same plan to turn the fabric into a deep shade of blue ended up looking like a ‘tie dyed mess’ and after a few laughs relented and allowed him to use a different chemical process. He had used the scar and an embellished humorous story (probably not so humorous at the time) to engage with his client, build rapport and close a sale. 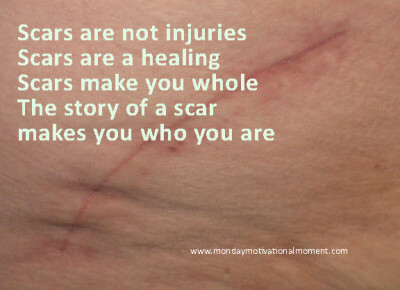 Scars and imperfections are a part of every life. It is what makes you who you are. What you make of them defines who you will be. What are the scars in you life? Your business? Your career? 1. How can you turn this experience into an engaging story? 2. What are the lessons you learned? 3. What are the positive messages you can attached to the story. The experiences of life can cause scaring. It is the way you respond to those experiences that create you as an individual.